It seems self-evident that “We,” the grandfather of 20th-century dystopian fiction, was written as a reaction to the early Soviet state. But this work, which inspired Orwell, Huxley and Vonnegut, may actually have its origins in Zamyatin’s reaction to Britain. Yevgeny Zamyatin wrote “We” between 1920 and 1921. He read some chapters in public and even announced the book’s publication. However, Glavlit, the fledgling Soviet country’s censorship office, swiftly banned the novel. However, as with many other suppressed works, it was transported abroad, eventually being published in New York in 1925. It was published in Prague soon after, and in 1929 a French edition was produced in Paris. The publication of “We” abroad was considered an act of treason, and Zamyatin endured such political problems that, with Stalin’s permission, he left Russia for Paris in 1931, living there until his death in 1937. It would be another half a century before the novel that secured his place as one of the most renowned 20th-century Russian authors was published in his home country. 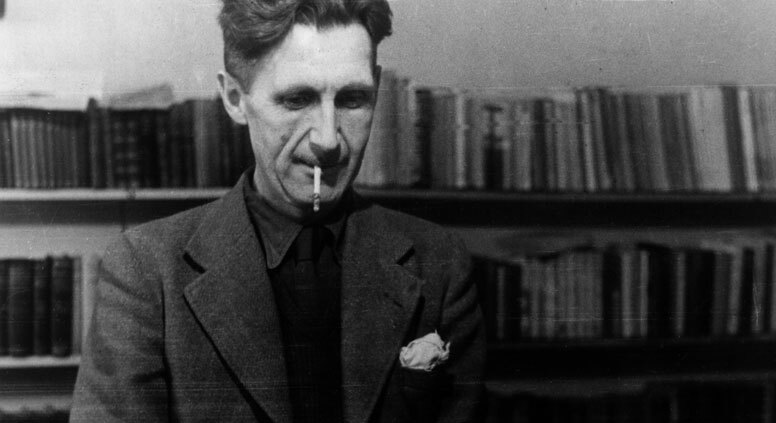 The State newspaper, like Time in Orwell’s work, is the only source of information. Like Winston and Julia, when D-503 meets the female citizen I-330, who leads the counter-revolutionary movement, his world is turned upside down. After they make love, D-503 has a revelation: “For the first time in my life, I get a clear, distinct, conscious look at myself; I see myself and I am astonished …” After overcoming the hurdle of mathematical certainty, the engineer can only long for the forbidden freedom. In his article “Freedom and Happiness,” published in London in the socialist magazine Tribune on Jan. 4, 1946, George Orwell acknowledged how thrilled he had been to read “We” – despite having to read it in French. “It is astonishing that no English publisher has been enterprising enough to re-issue it,” he wrote. In 1932, after leaving the Soviet Union, Zamyatin himself clarified what he had been aiming to achieve in his work: “This novel signals the danger threatening man, the State – any State.” It is significant that Zamyatin, despite now being an émigré, did not cite the Soviet Union as the model for his OneState. Perhaps this could be because he conceived the book while he was living in Newcastle in the UK, supervising the construction of icebreakers before the revolution. He saw the seeds of OneState in the very same place Lenin found the inspiration for building his Soviet system – Europe. Zamyatin never returned to his home country, although he represented the Soviet Union at the 1935 International Congress for the Defense of Culture in Paris. His ideas, however, had crept into the country through Huxley and Orwell’s great dystopian works. Both novels, with their conscious or “coincidental” echoes of Zamyatin, were hugely popular among Soviet dissidents and the intelligentsia, and so his ideas subtly chipped away at the foundations of totalitarian ideology. And, like the books it inspired, “We” is just as relevant today as it was back at the dawn of the “new” age in the 1920s.